(i) A post graduate degree in Veterinary Science (M.V.Sc.). (ii) At least eight years’ experience in field in eradication of disease. (iii) At least four years’ experience in disease investigation & eradication works. (iv) At least four years’ experience in a biological production centre. (v) At least two years’ experience as Head of the Office and D.D.O. in any of the above capacities or separately. (vi) Knowledge of Bengali / Nepali and English - spoken and written. 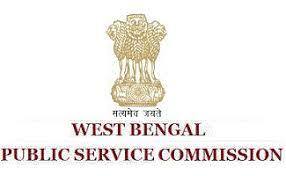 (vii) Registration with the West Bengal Veterinary Council under Indian Veterinary Council Act, 1984. (i) For online payment through debit/credit cards: Convenience fee 1% of the examination fee subject to a minimum of Rs.5/- (Rupees Five) only plus 18% G.S.T. on convenience fee. (iii) For offline payment through bank counter: Service Charge of Rs. 20/- (Rupees Twenty) only.